OMG! Can you believe it? In less than 2 weeks, I'll be in LA again for the #DisneyMoviesEvent for the red carpet screening of Frankenweenie and more. I still have to decide on my red fashion attire...In the meantime though, here are some fun activity sheets for your family to enjoy. I've compiled it into one pdf file so all you have to do is click the picture to go download 5 fun activities for FREE! I've always enjoyed mazes and looking for differences so you'll find my nose buried in my copies with my fur babies beside me for awhile. Enjoy and happy Wordless Wednesday. 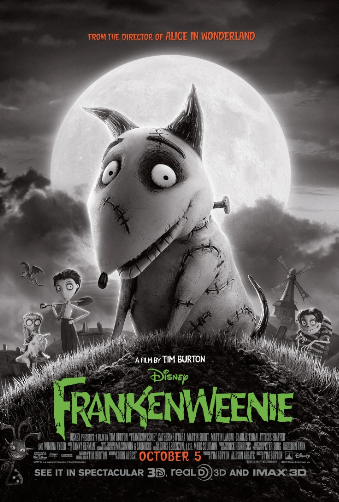 Frankenweenie comes out in theaters Oct 05th. You will look great in whatever you pick for the red carpet? Too fancy for your eShakti dress? 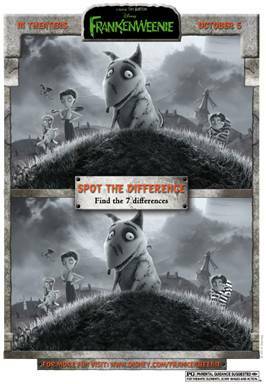 The activity sheets look fun, I always love those "Spot the Difference" Sheets. This movie looks very interesting! Have fun on your Disney trip! You're going to have such a good time! The movie looks fun! @Still Blonde after all these YEARS, LOL, thanks, Shelley! I'd consider it if I had it but nothing in my mail from them yet. :( I do have my fingers crossed that it may come in before then though.